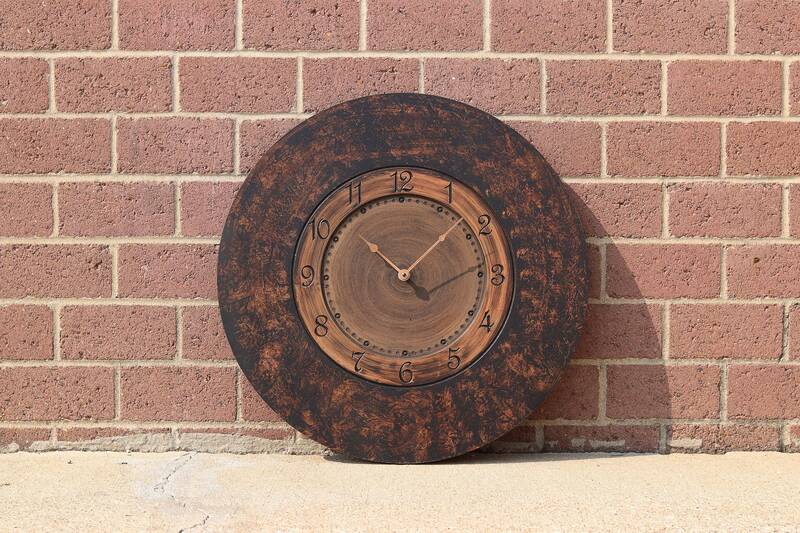 This stunning brown and copper 24" wall clock features hammered copper hands. 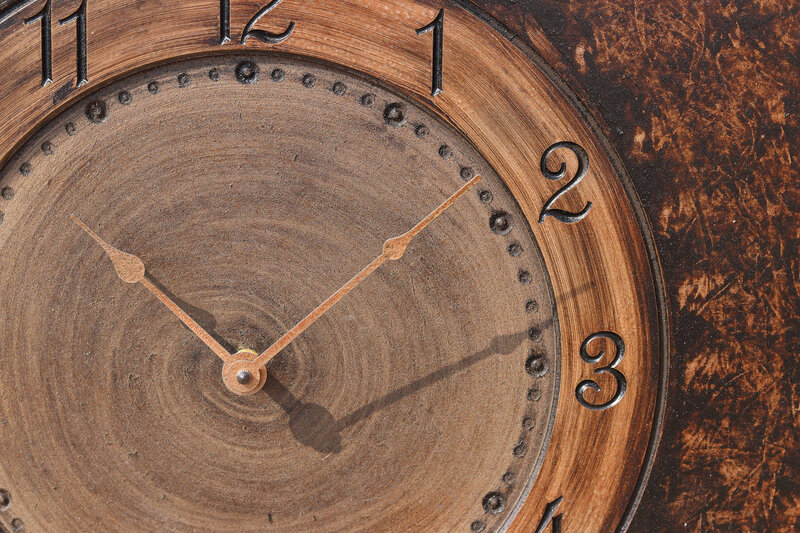 This vibrant clock is perfect for any steampunk inspired decor. All of our clocks and games are handcrafted and finished by local Kansas City artists so you know they are made with care every time.